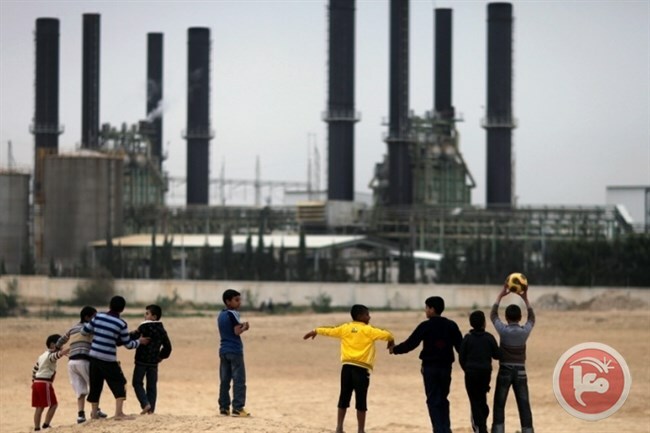 GAZA (Ma’an)– The besieged Gaza Strip’s only power plant announced on Thursday that it was unable to operate on more than one generator after exhausting its fuel reserves. In a statement, the electricity supplier noted that efforts were being made to obtain fuel in the coming week. Even at full capacity, Egyptian and Israeli electricity grids, together with Gaza’s sole power plant, fail to cover the Gaza Strip’s energy needs. The power plant has not run at full capacity in years, with Israel’s crippling blockade severely limiting fuel imports into the coastal enclave. Gaza’s electricity crisis made headlines in May when three small children died in a house fire caused by candles that the family used during a power cut.